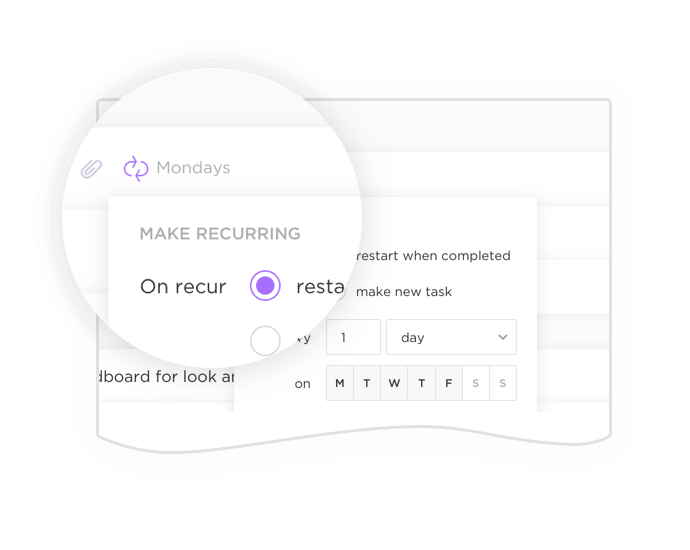 A fundamentally new way to work. 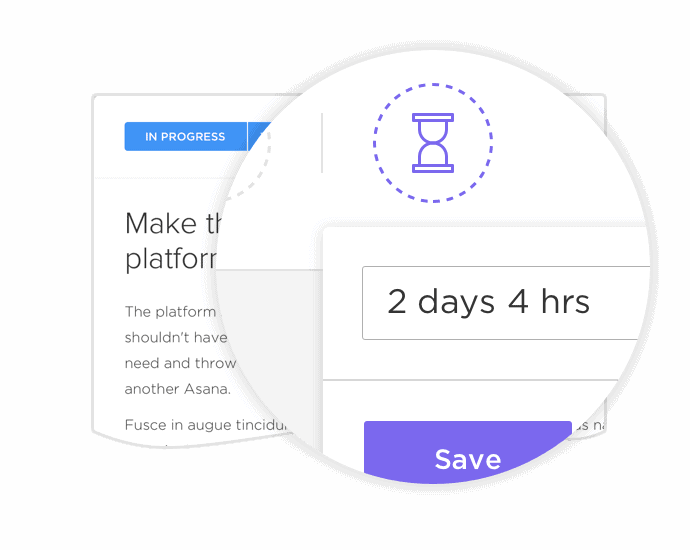 We'll do it for you, instantly. 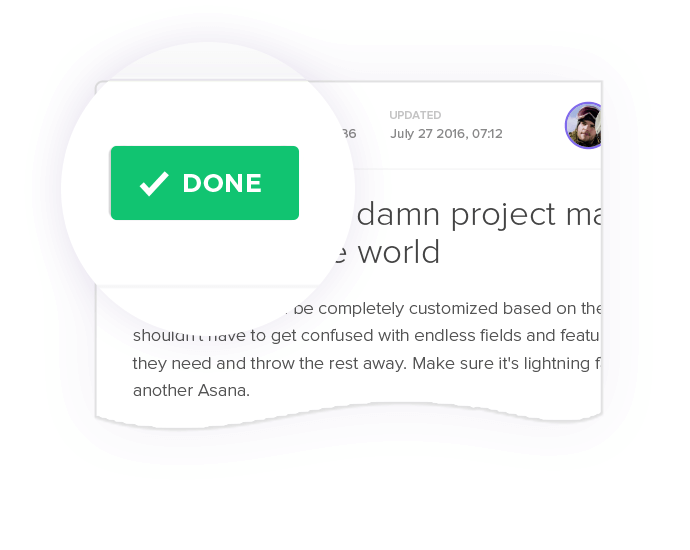 We'll get import automated ASAP. 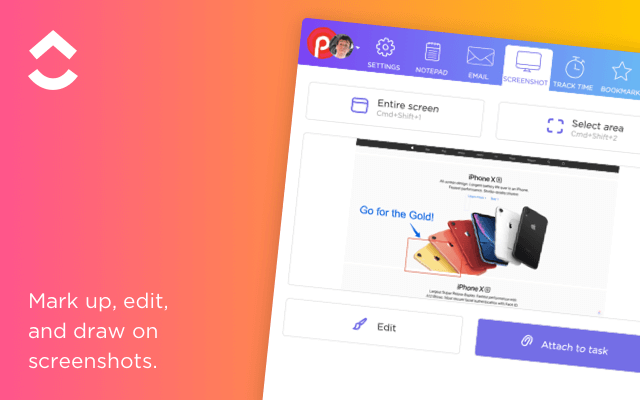 We'll send you an email as soon as the import from is available. 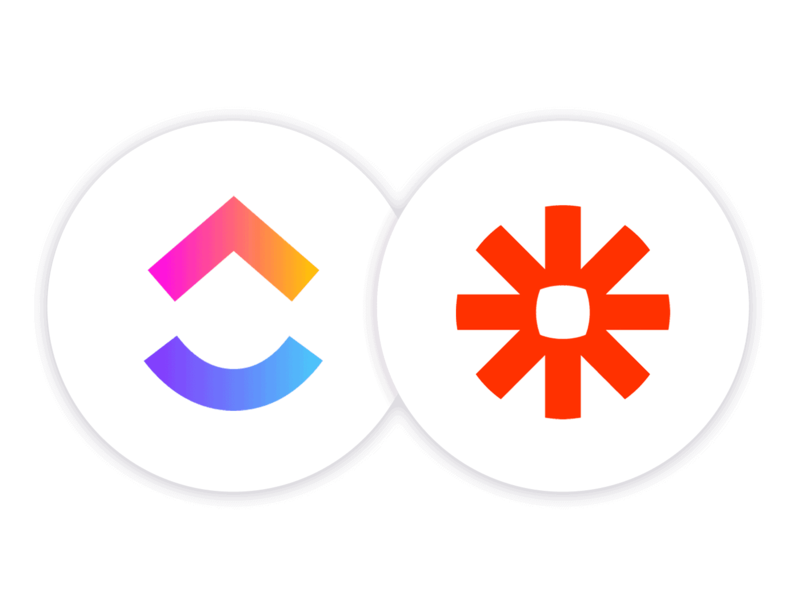 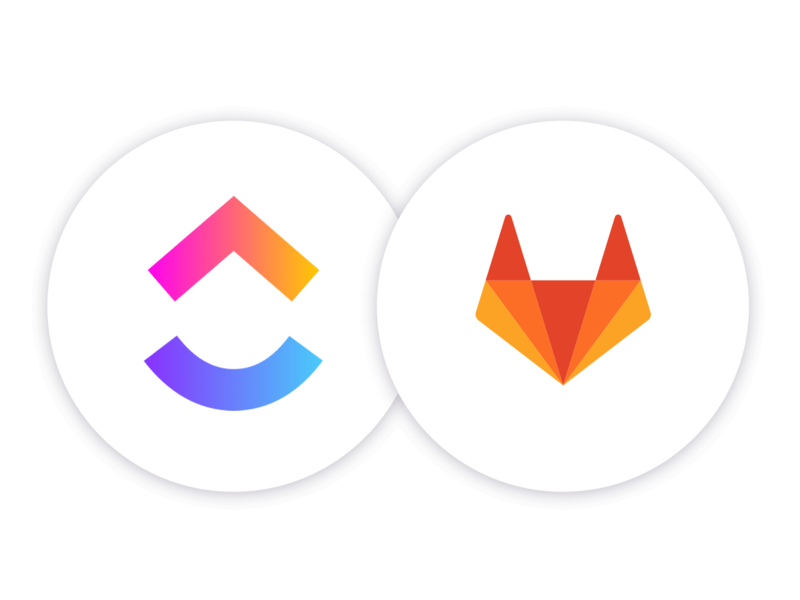 Seamlessly connect through native integrations, plus over 1,000 through Zapier. 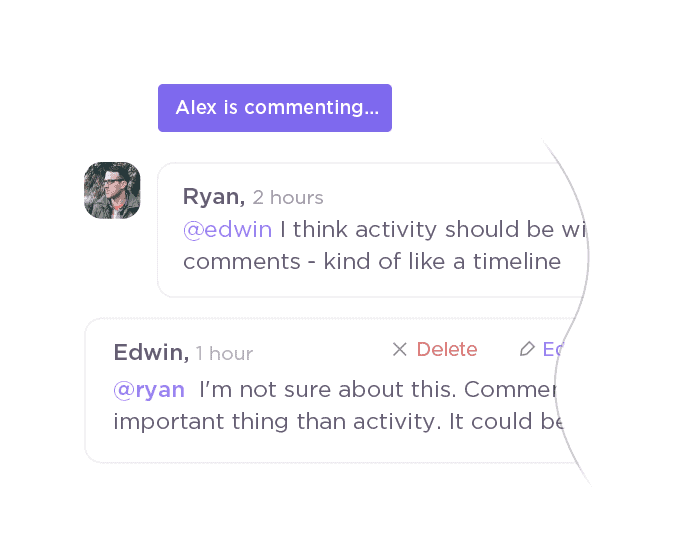 Things get lost in comments, and many times comments require an action. 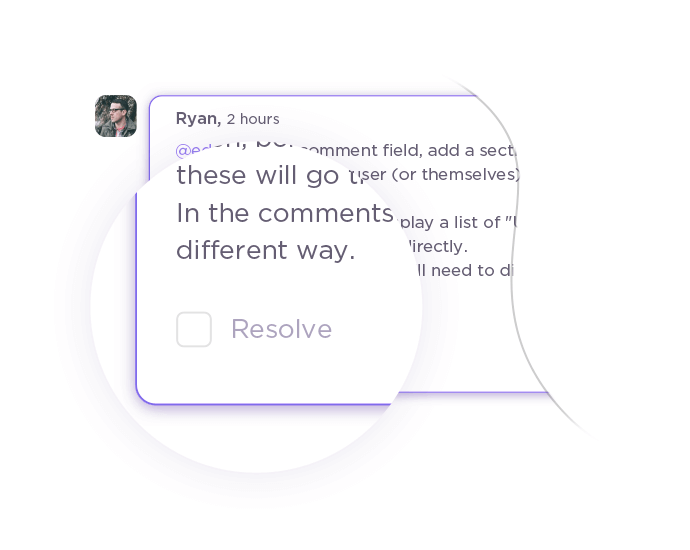 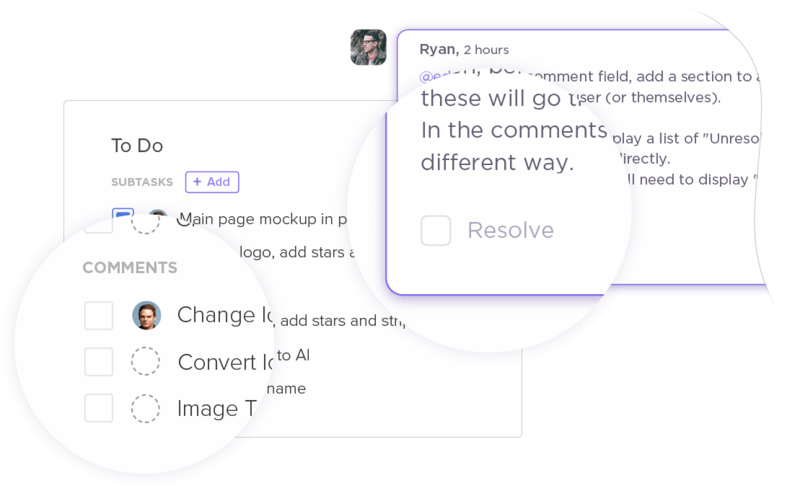 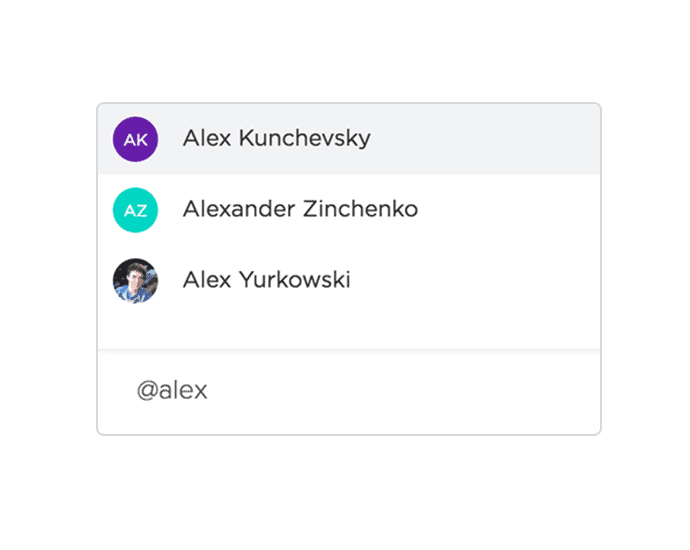 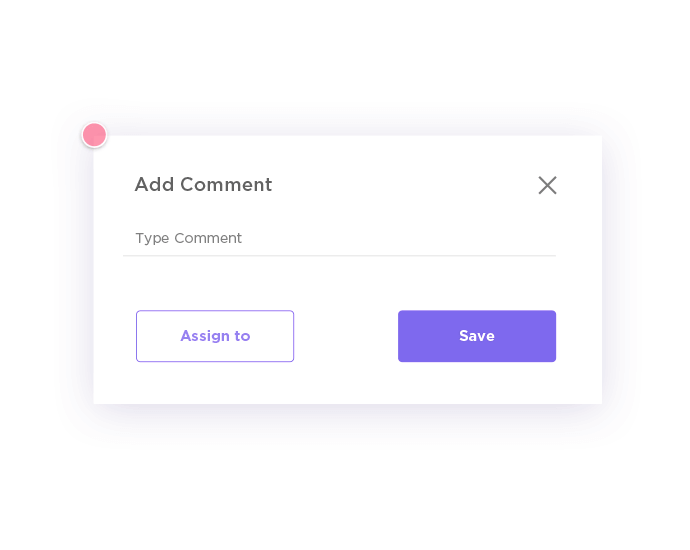 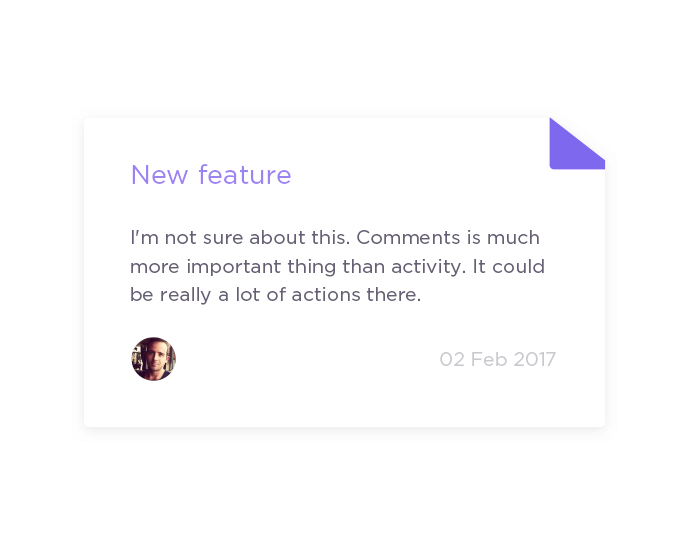 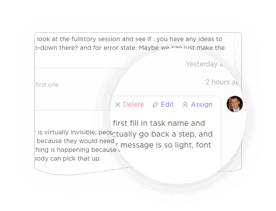 That’s why we created Assigned Comments — create action items instantly and assign to others or yourself. 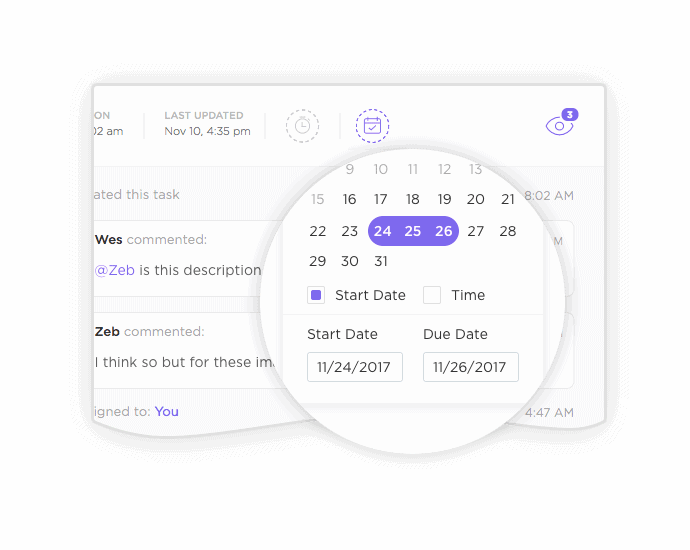 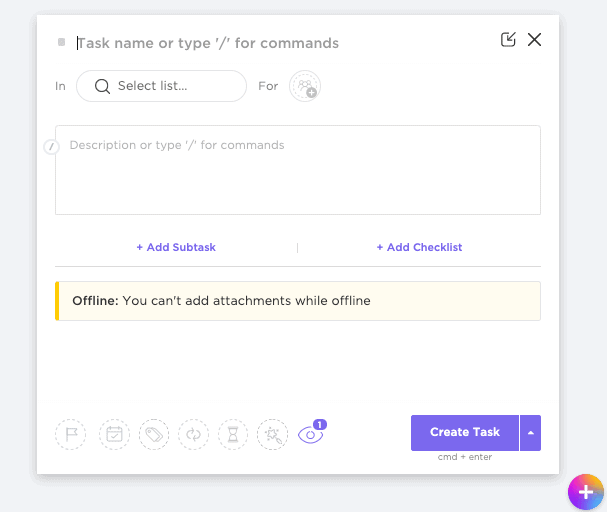 When you need to make changes to multiple tasks at the same time, why waste time changing each task individually? 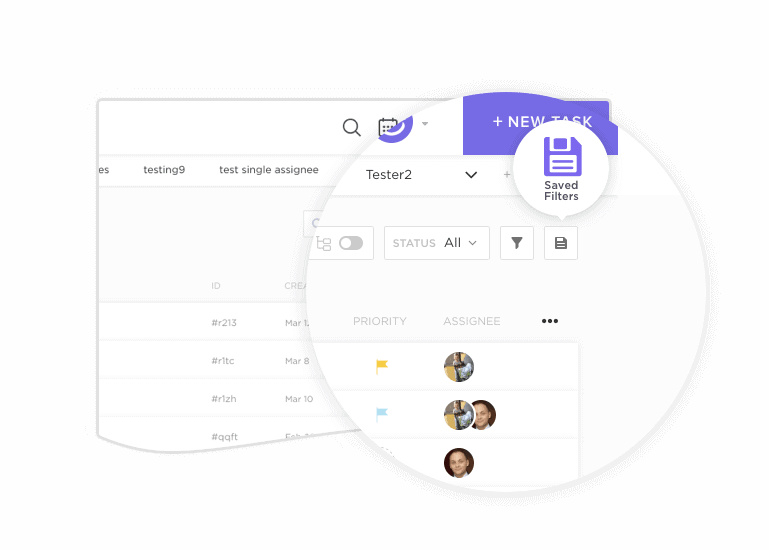 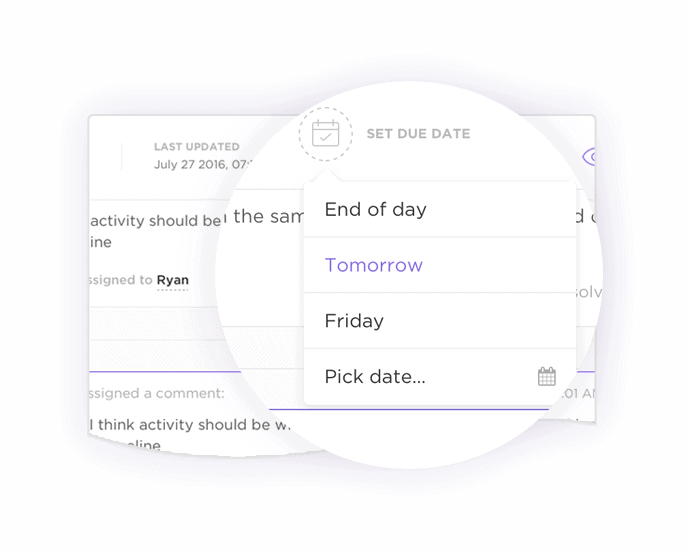 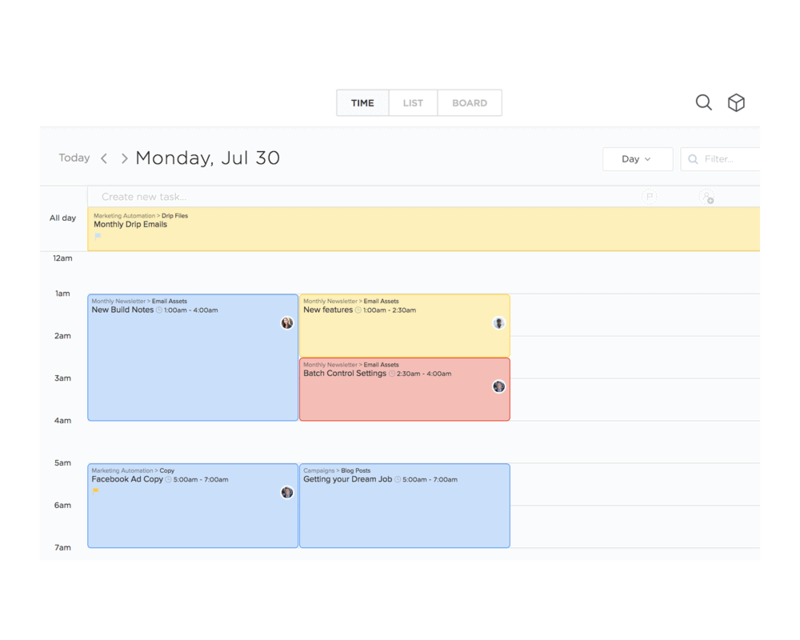 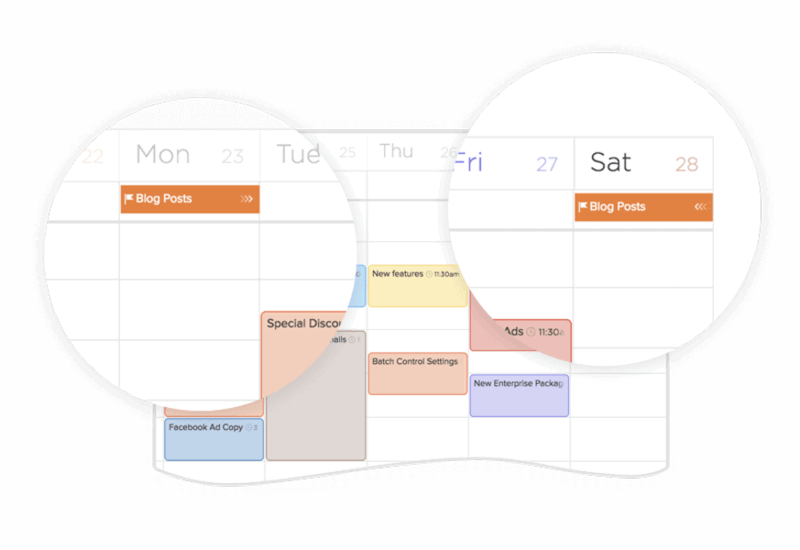 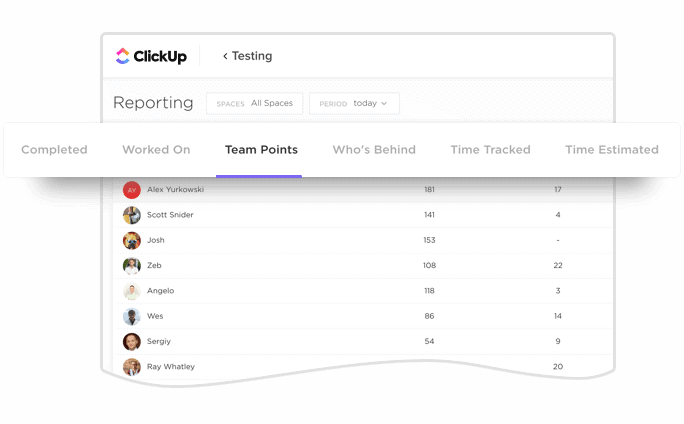 Stay highly organized with ClickUp's proprietary tree structure. 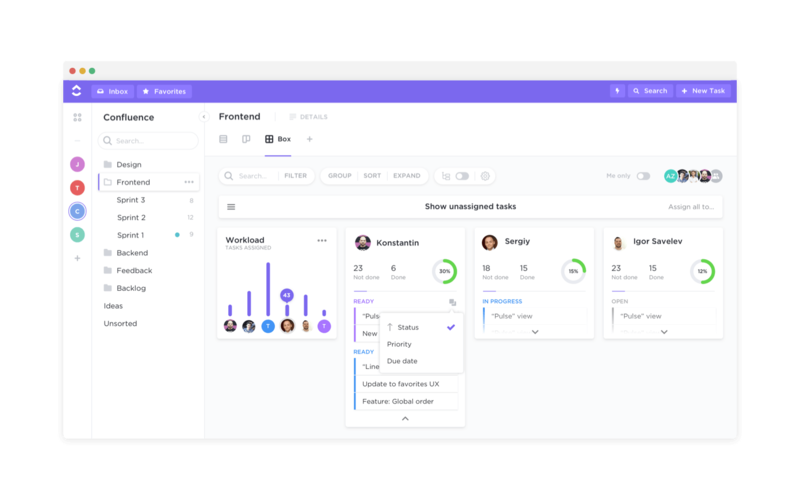 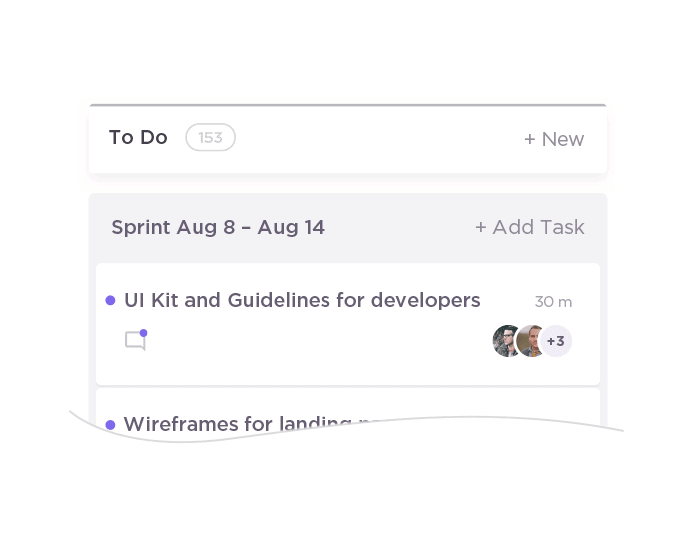 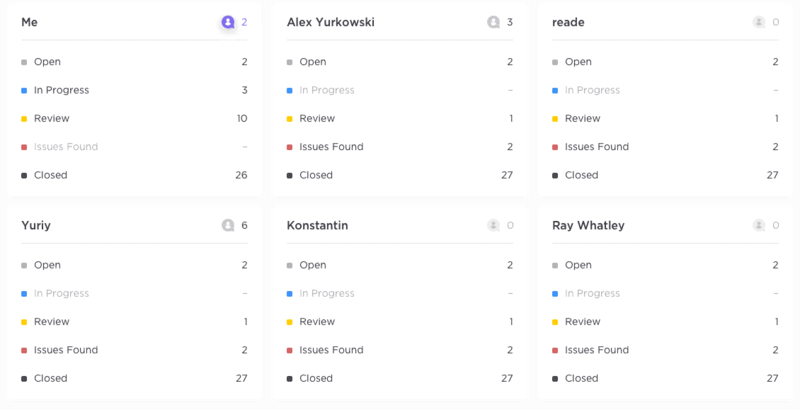 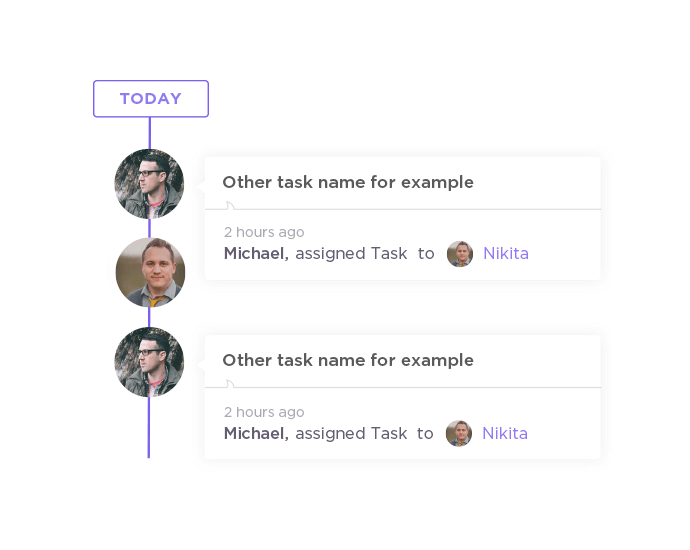 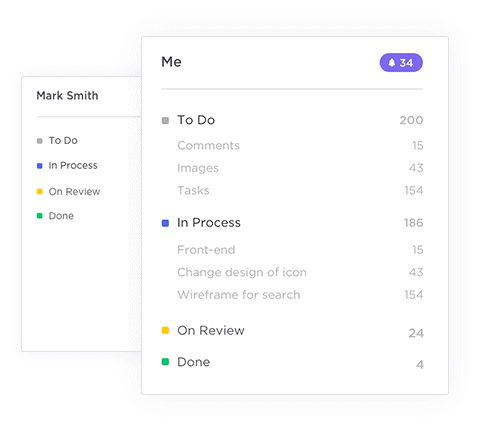 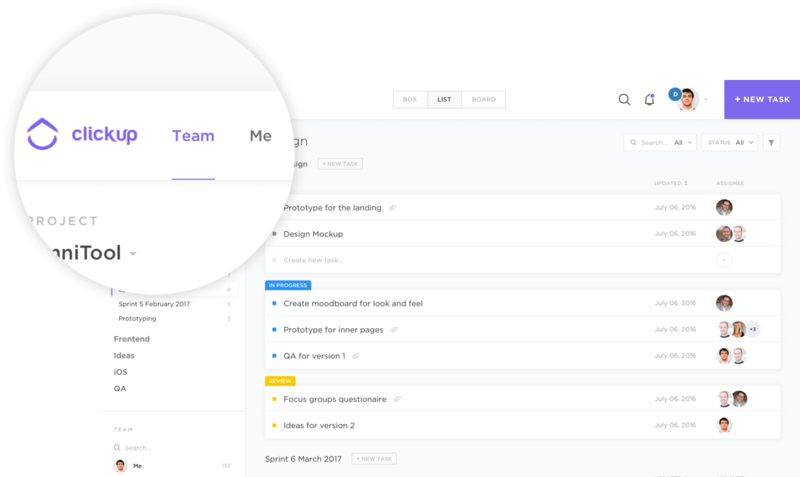 We get it — groups are easier to manage than an endless list of tasks. 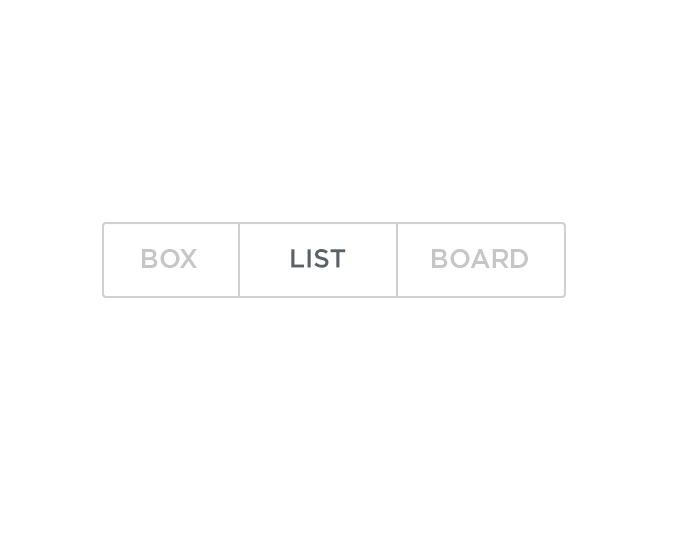 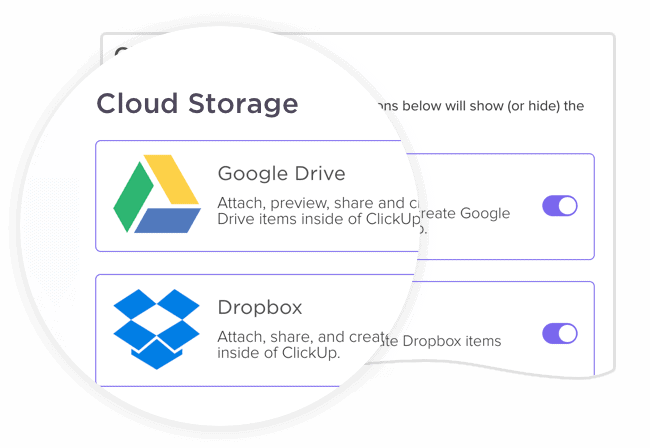 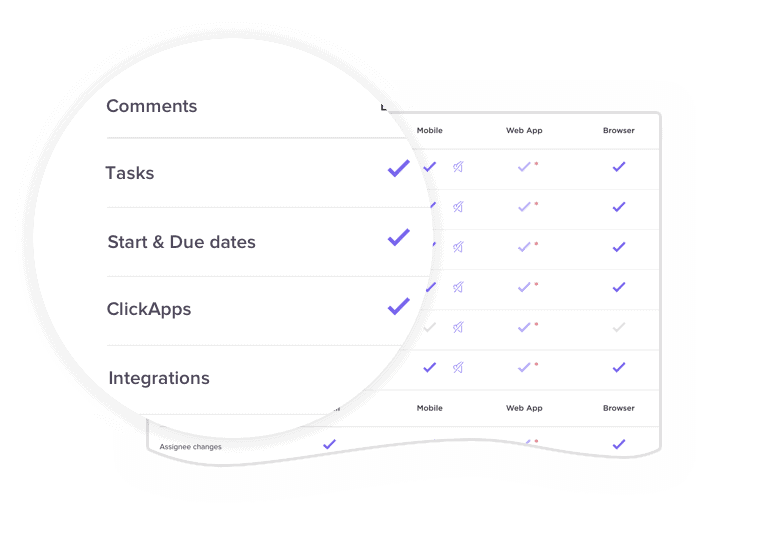 ClickApps are 100% customizable features - choose what you want and hide everything else. 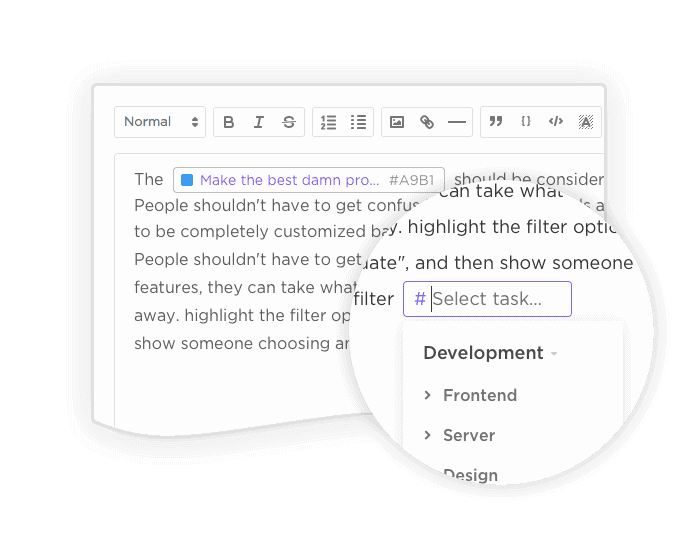 We'll never limit you to basic text or complex markdown (although these are options). 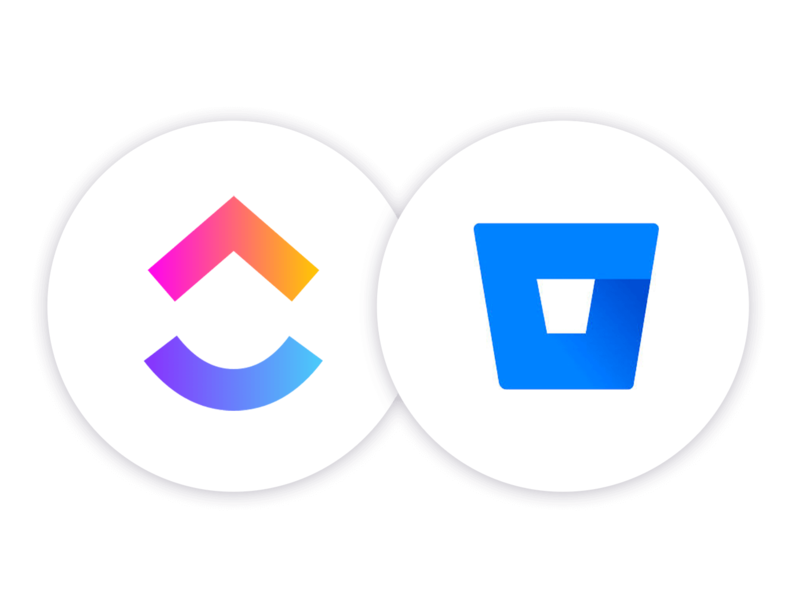 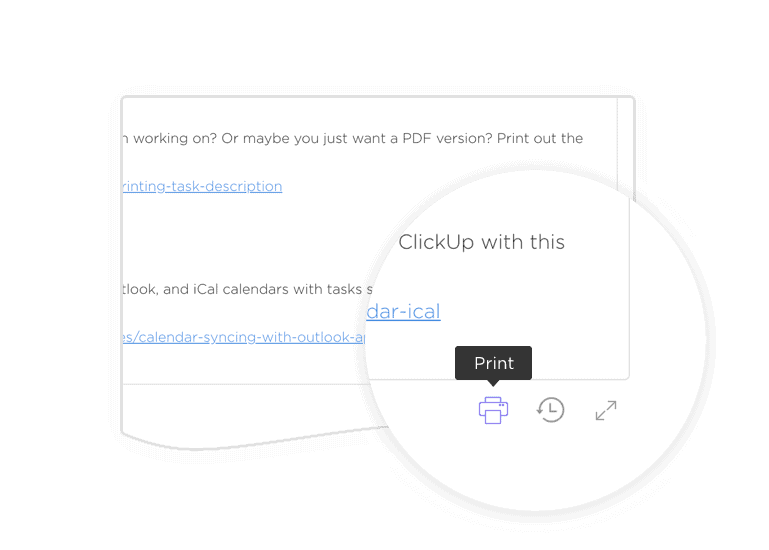 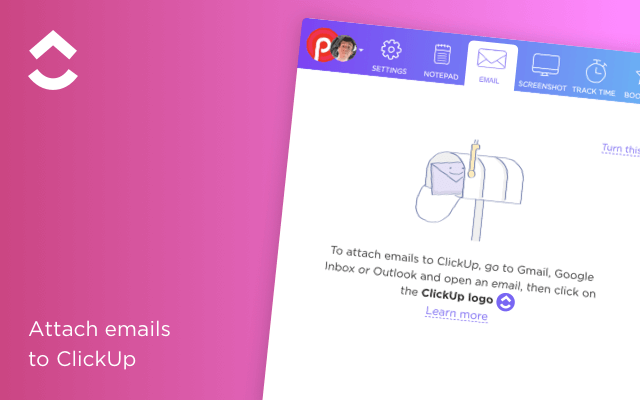 If you've been looking for a beautifully rich formatting interface, you'll love ClickUp. 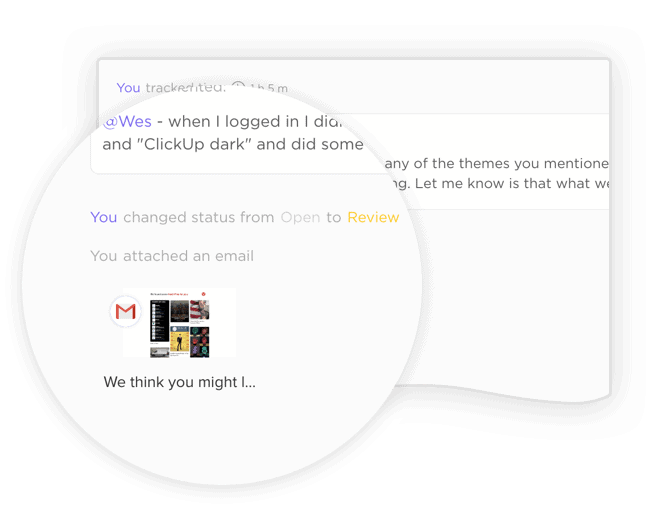 Use the 'Me' Dashboard to only see things that are related to you. 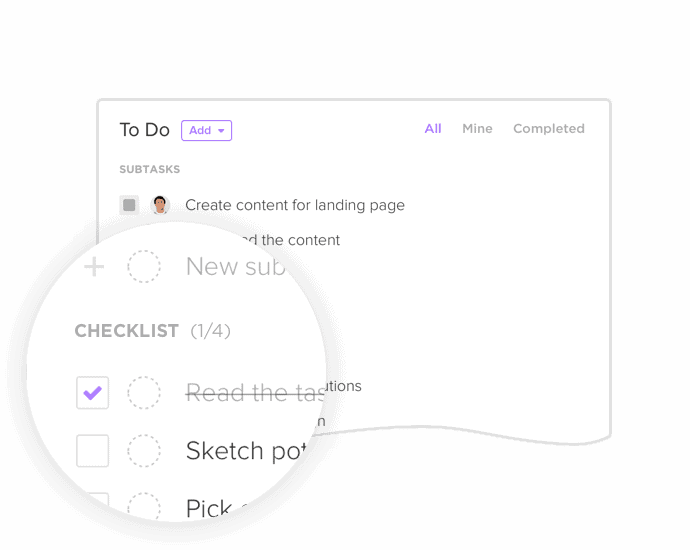 Drown out the noise and focus on what you need to get done. 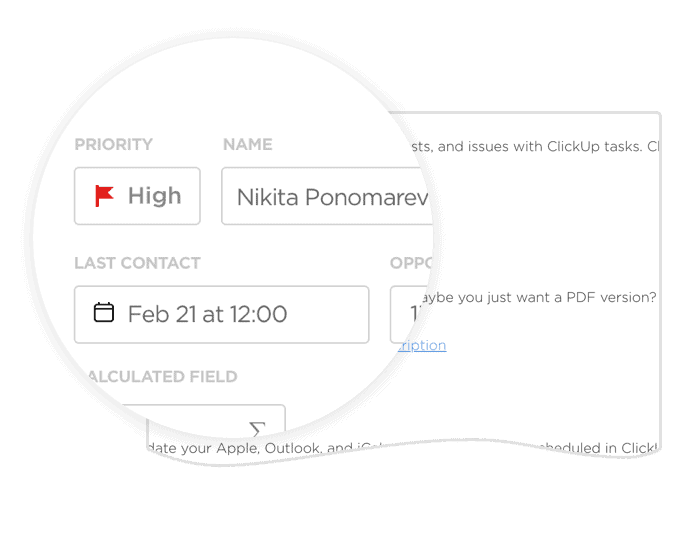 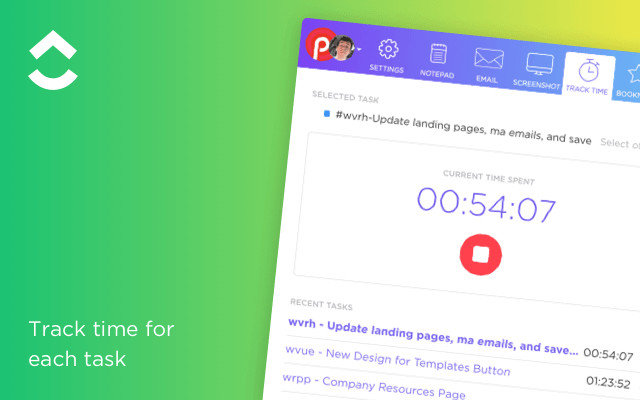 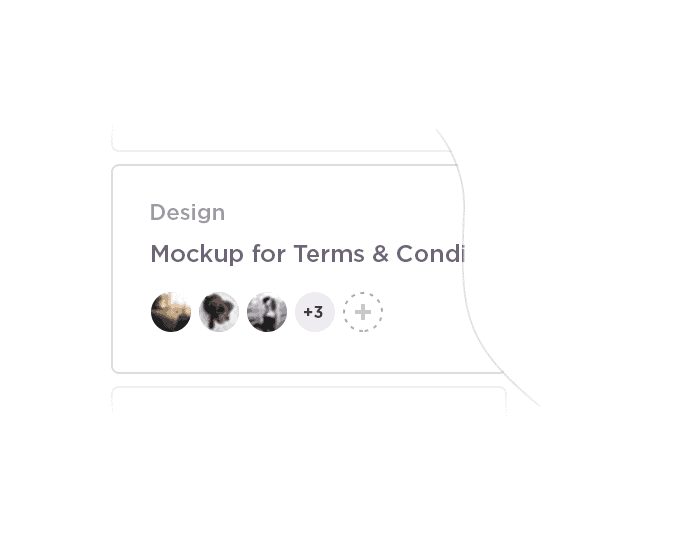 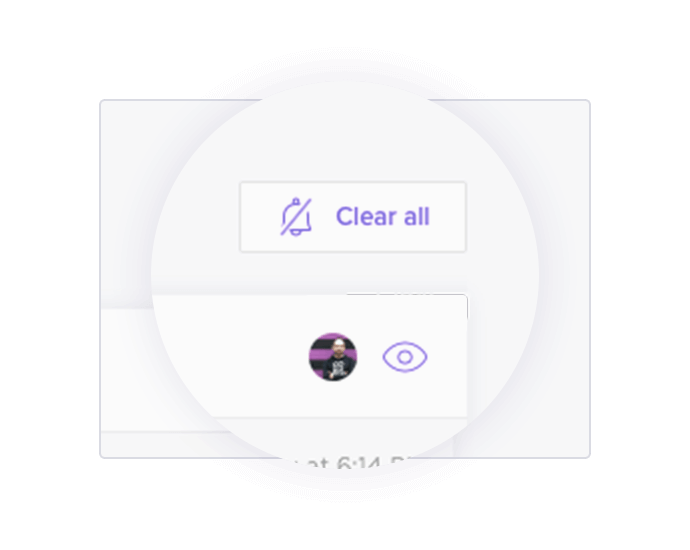 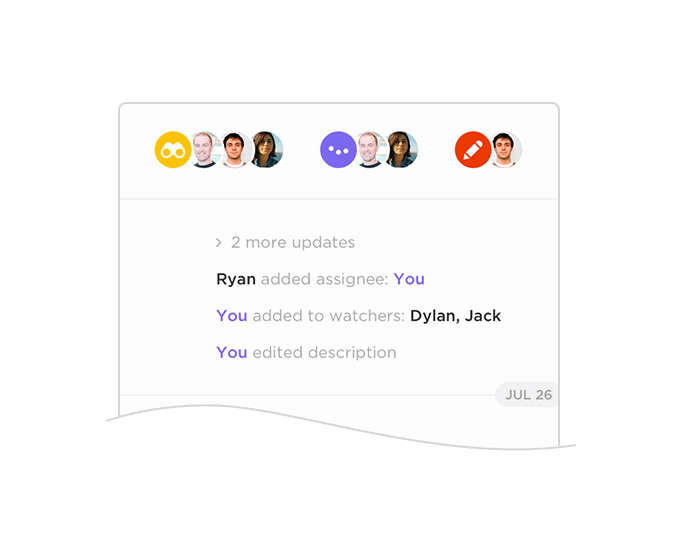 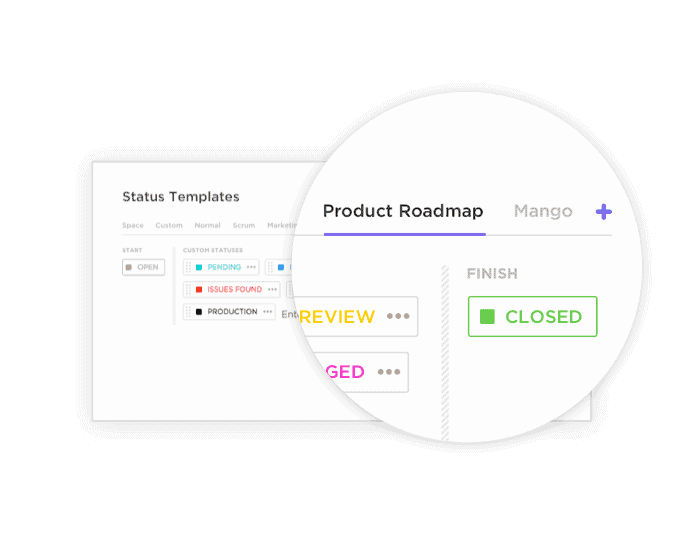 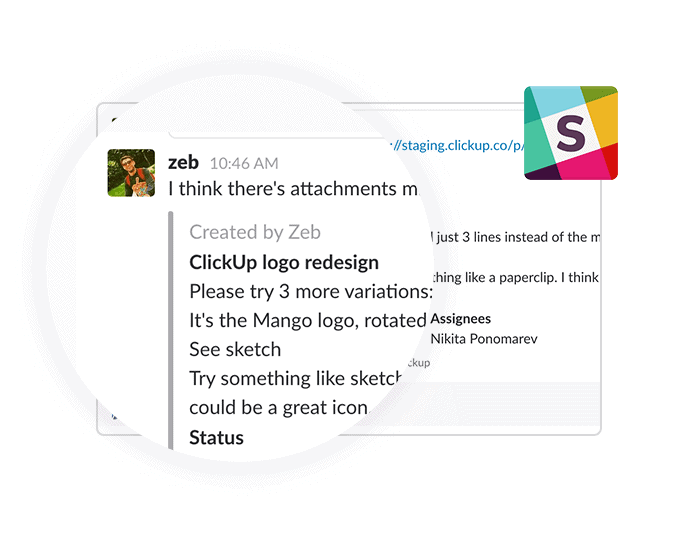 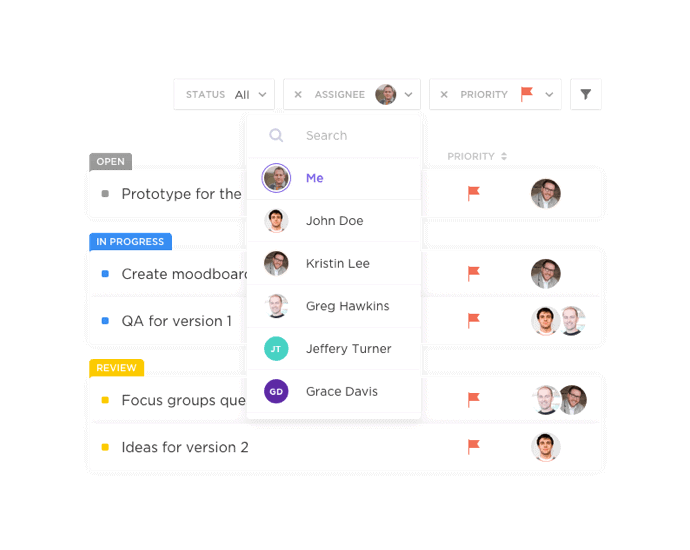 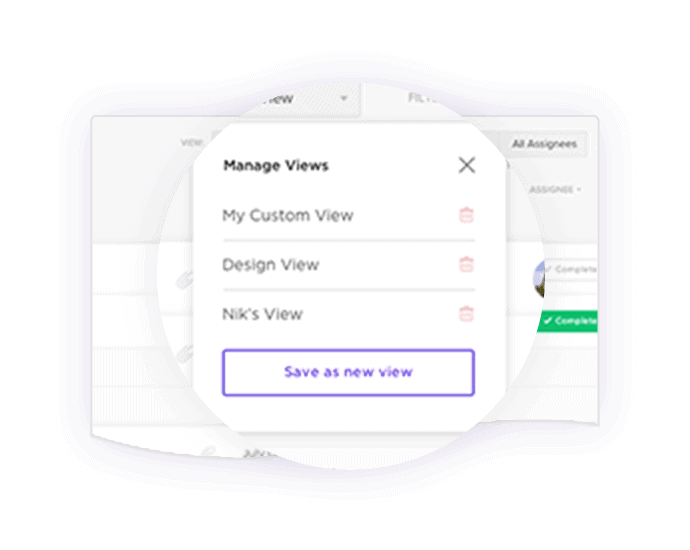 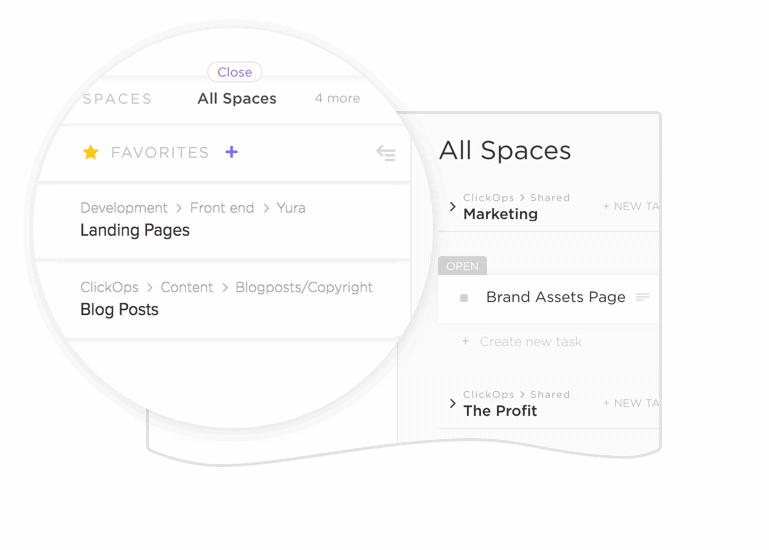 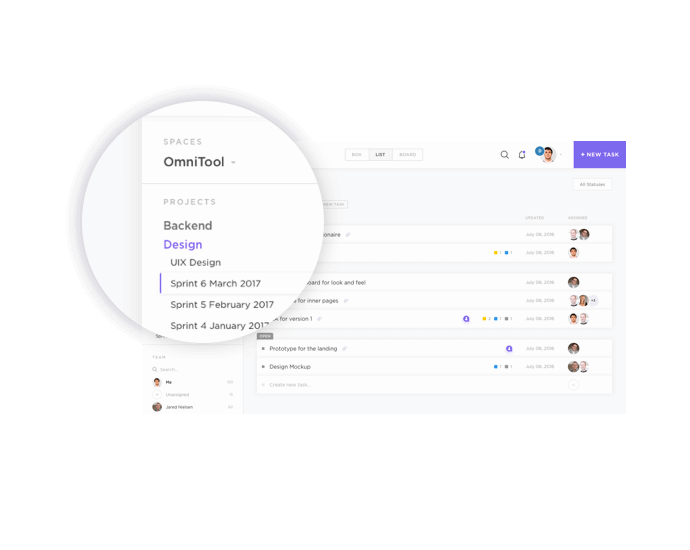 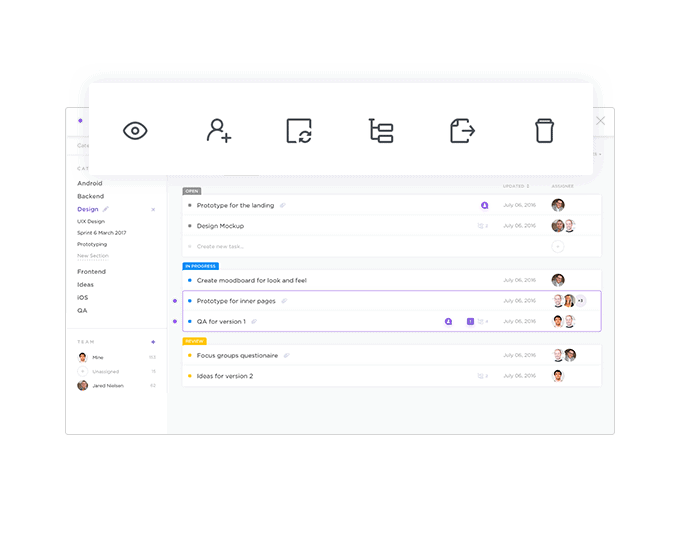 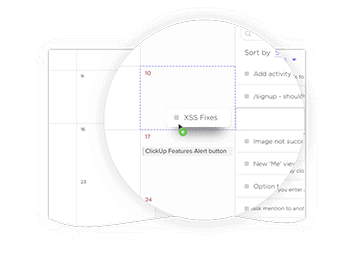 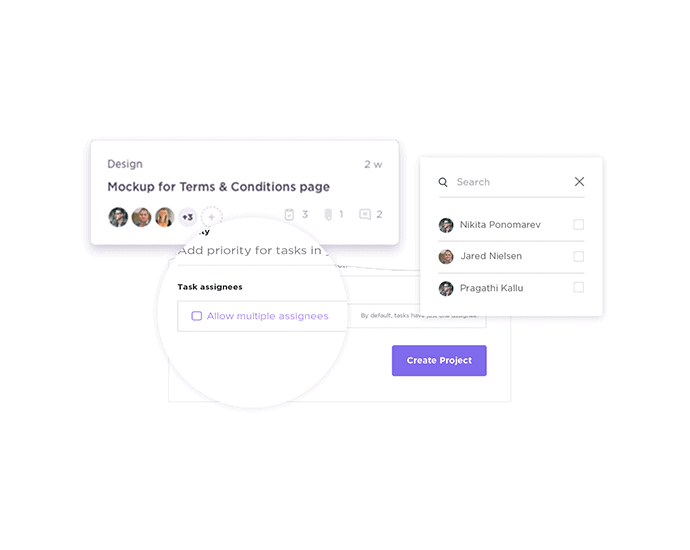 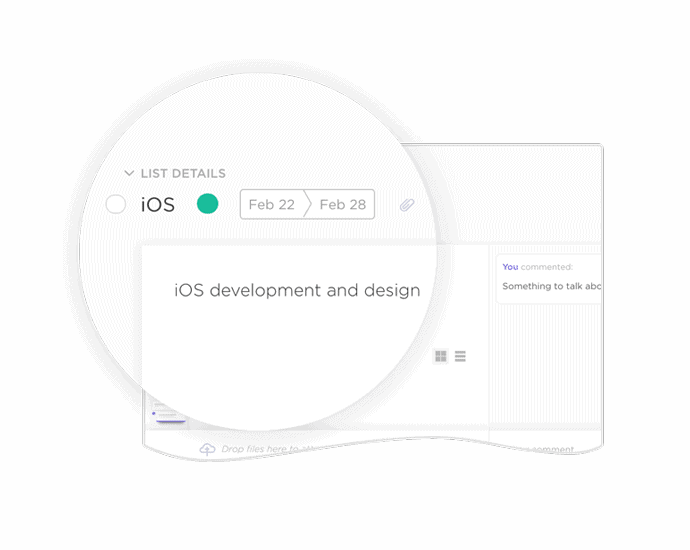 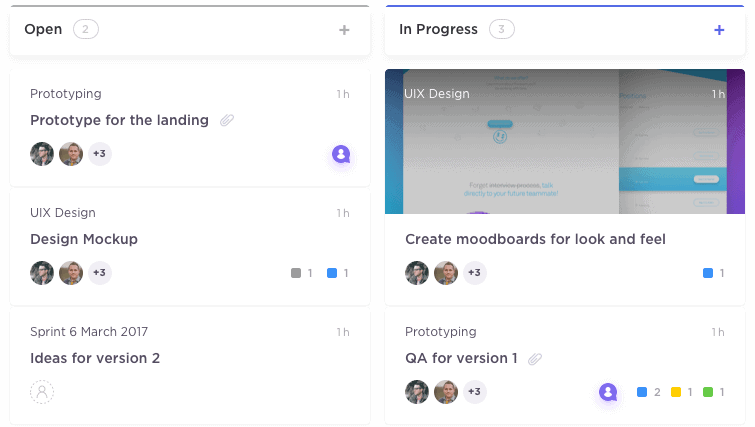 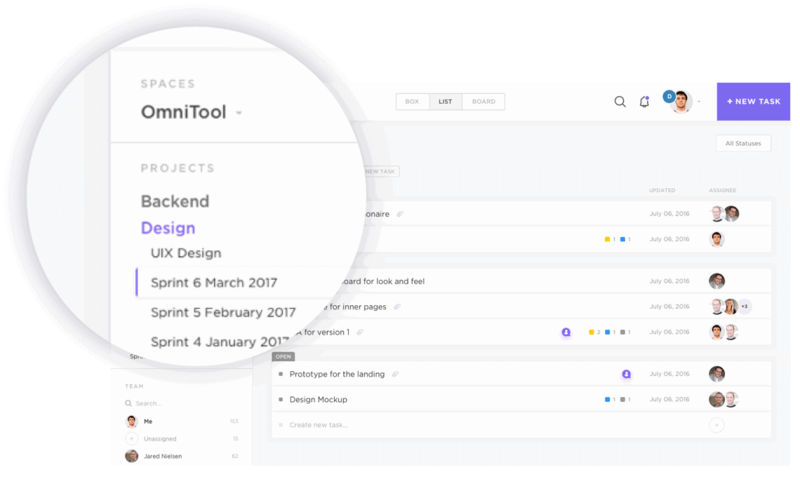 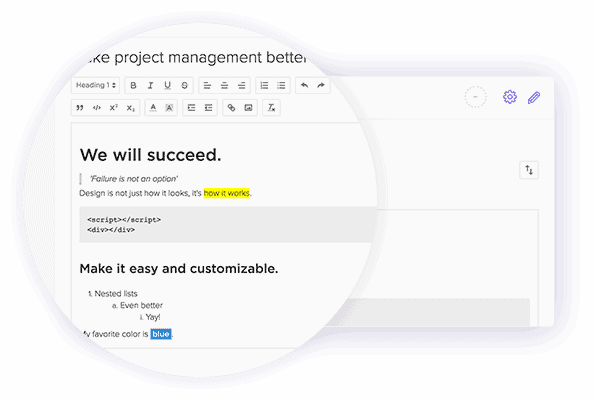 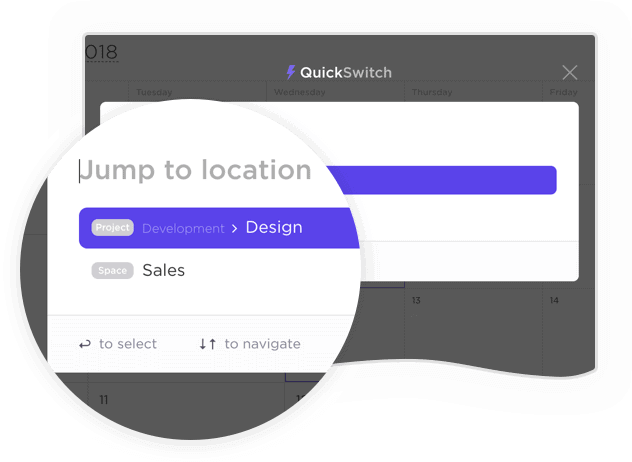 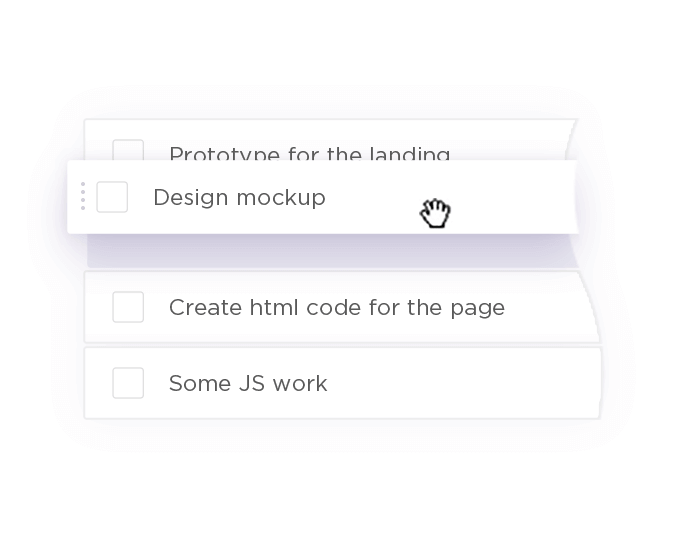 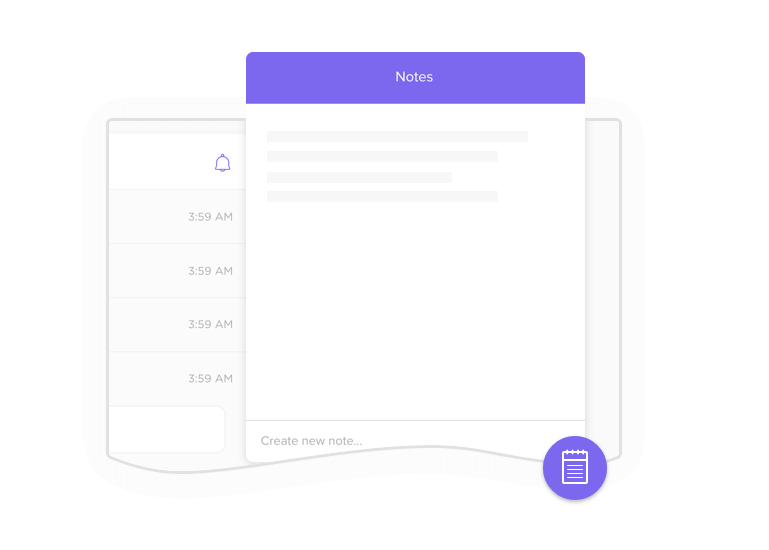 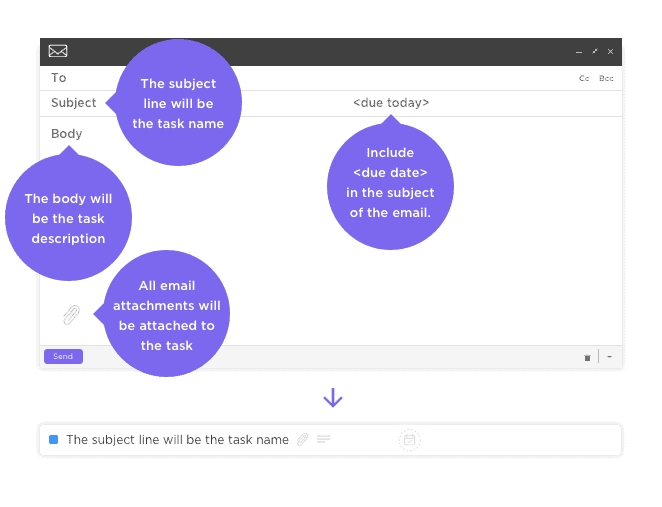 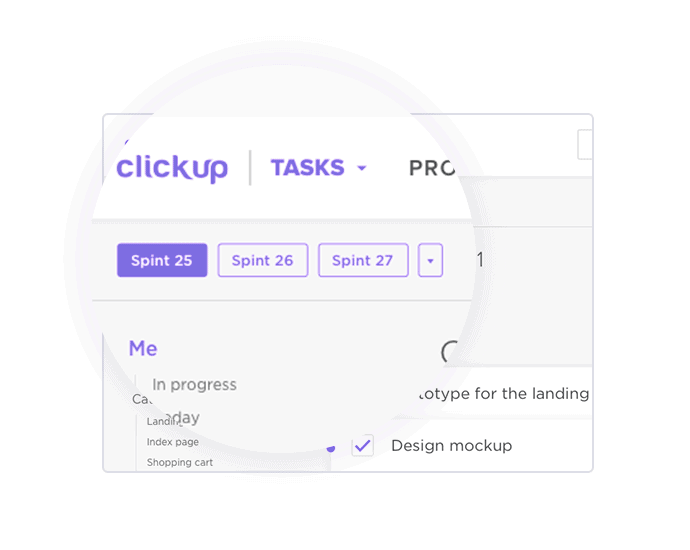 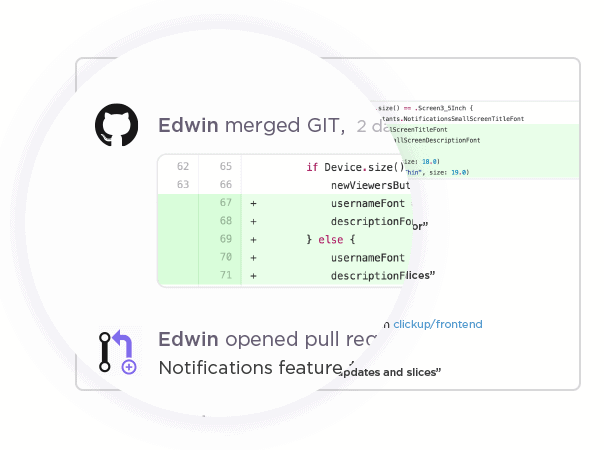 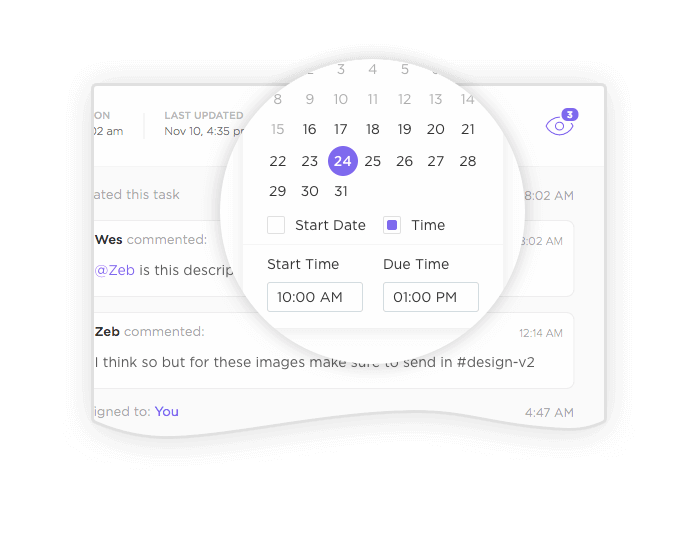 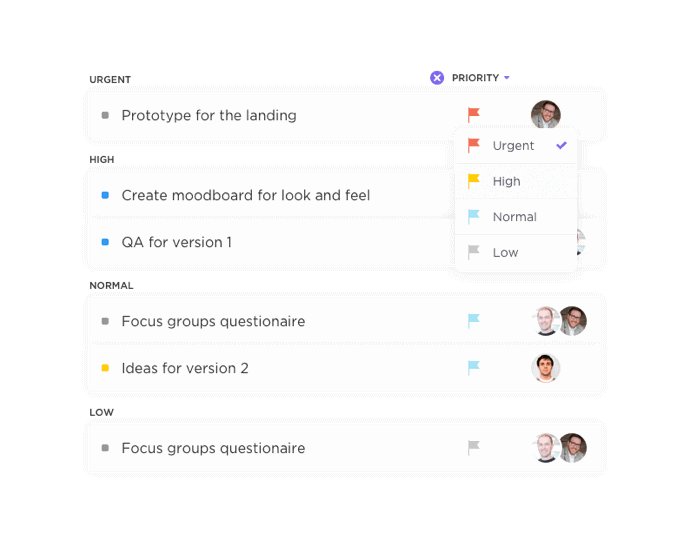 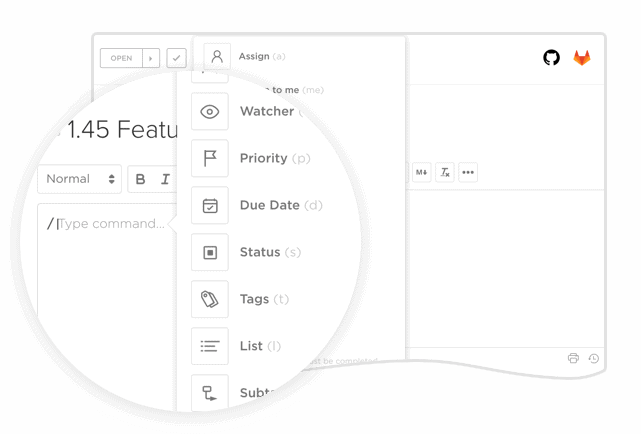 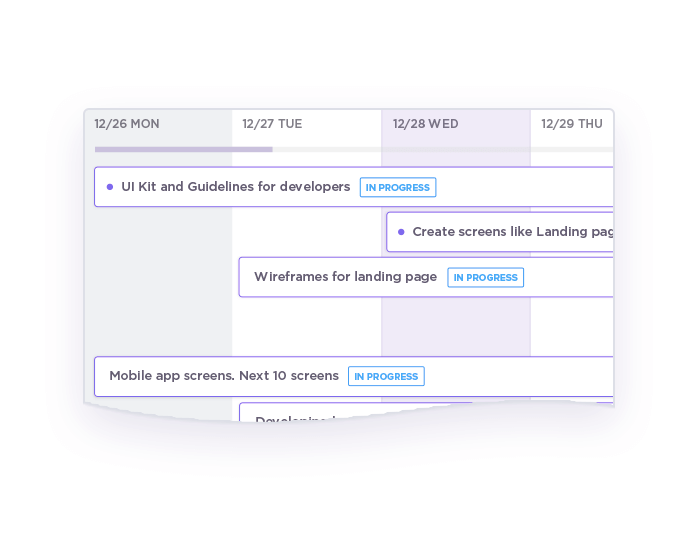 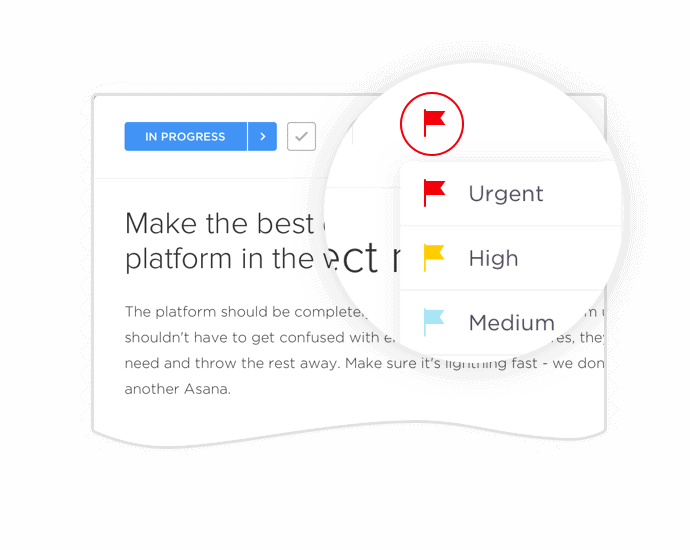 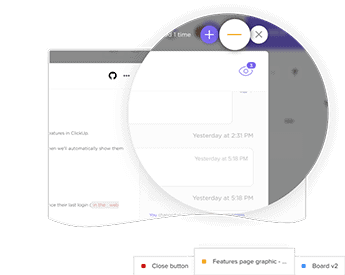 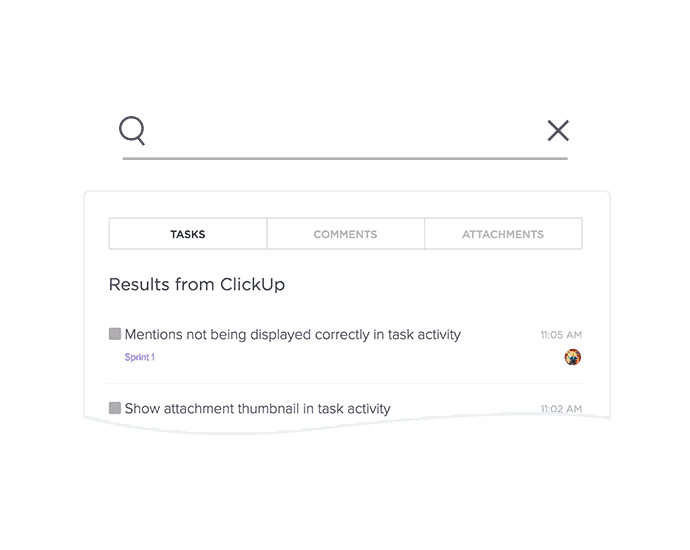 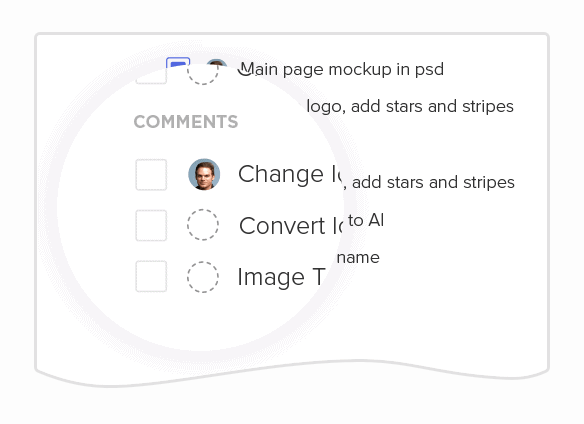 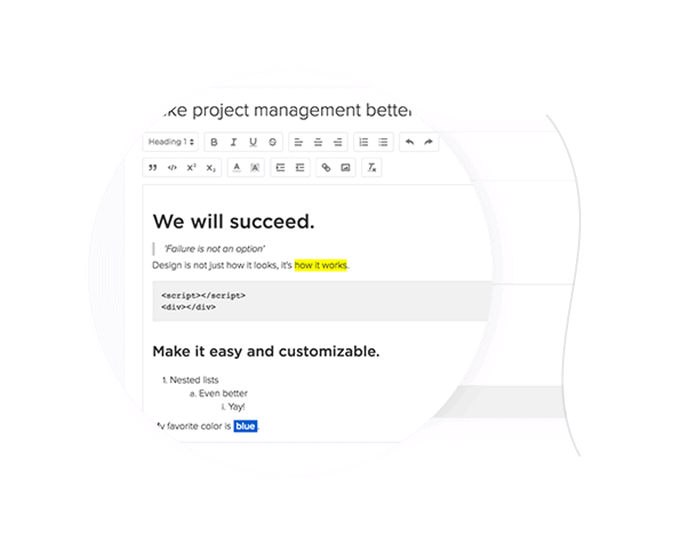 ClickUp is designed for small teams and large teams; simple workflows and complex workflows. 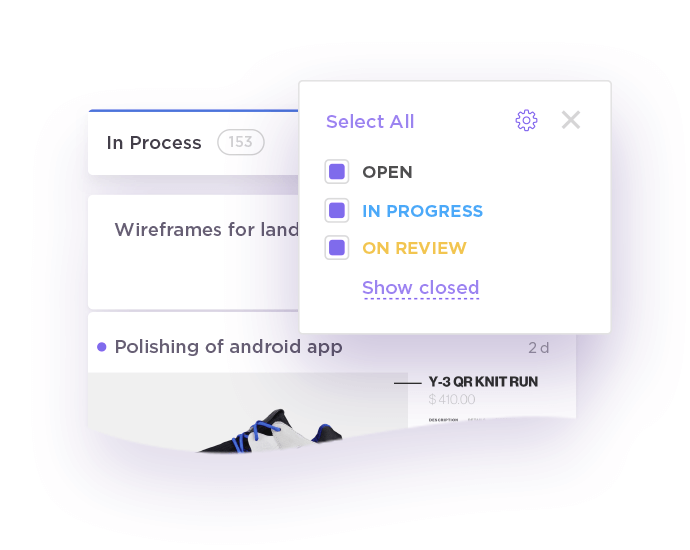 Build ClickUp for you. 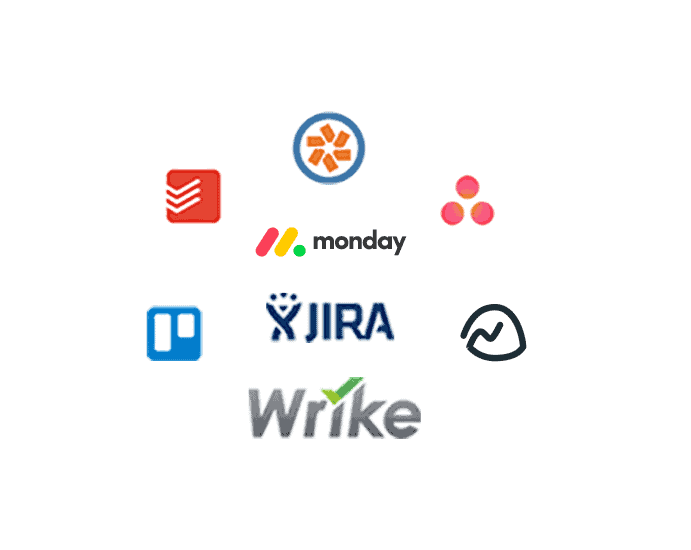 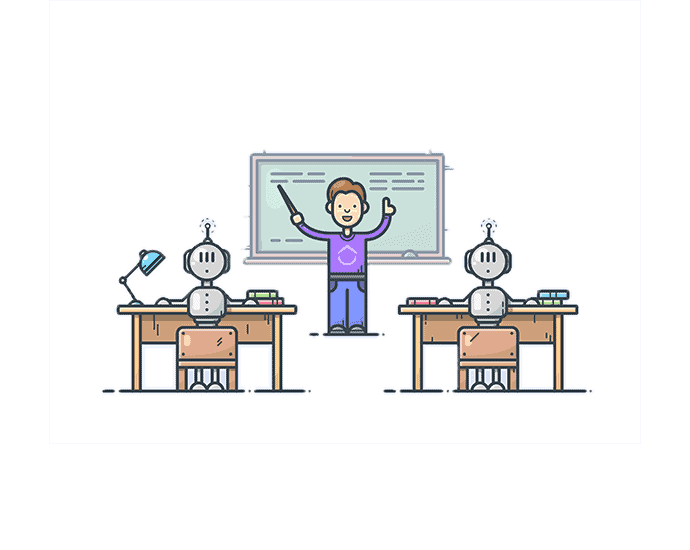 Why use several products to manage productivity? 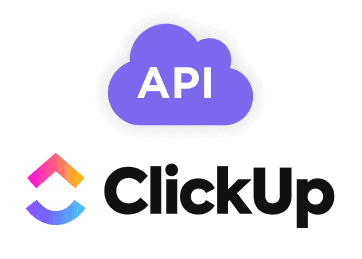 ClickUp was founded on this core philosophy of bringing everything together. 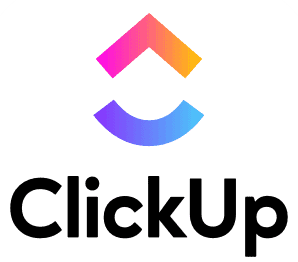 Whatever you need, ClickUp has. 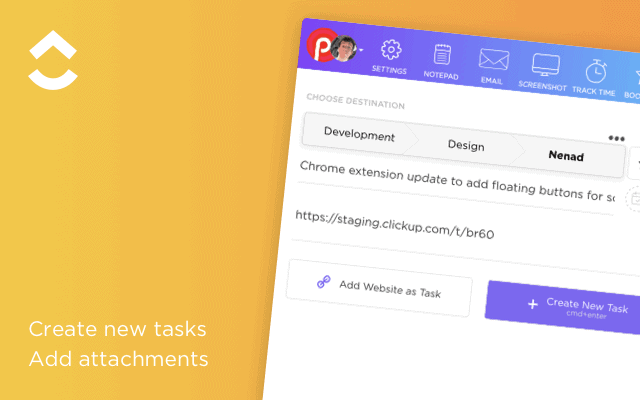 Simply click to enable apps you need and keep the clutter out. 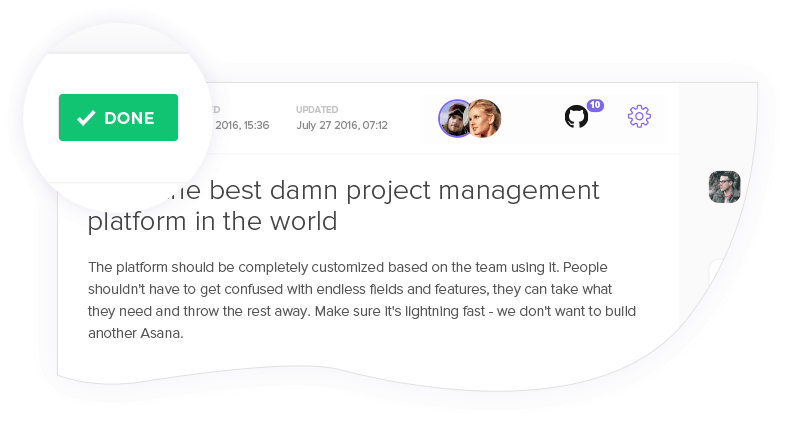 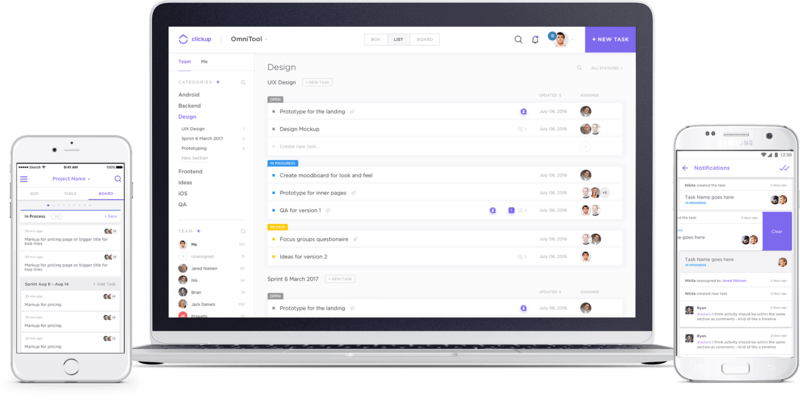 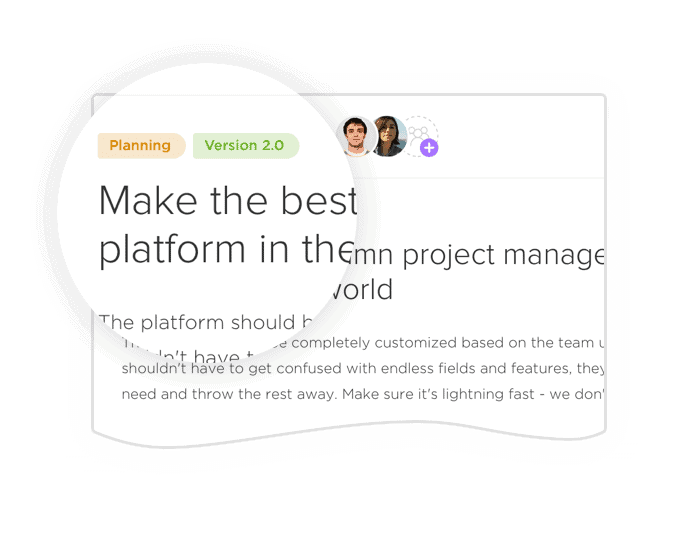 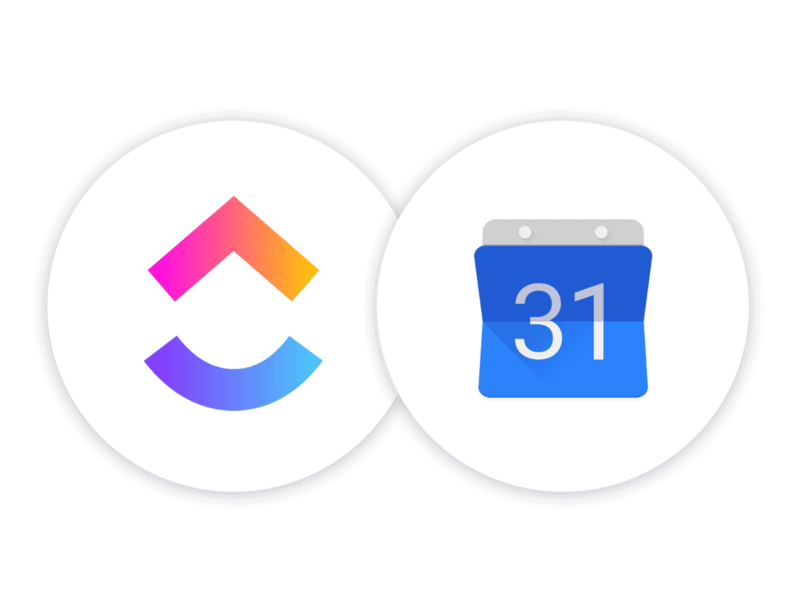 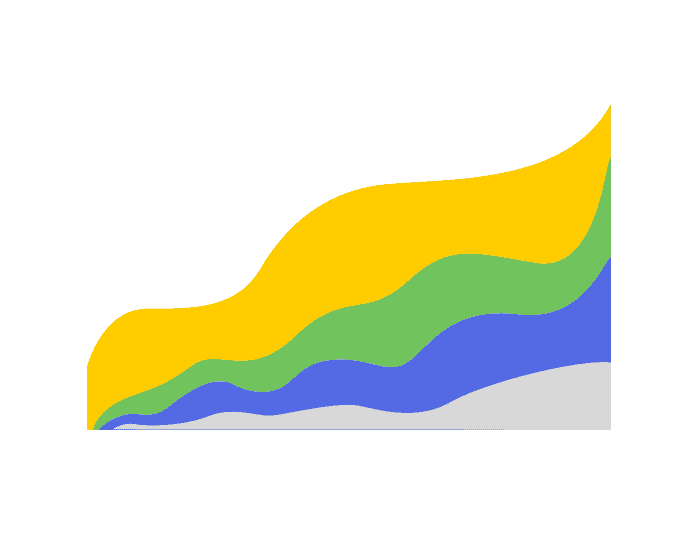 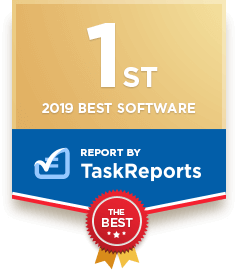 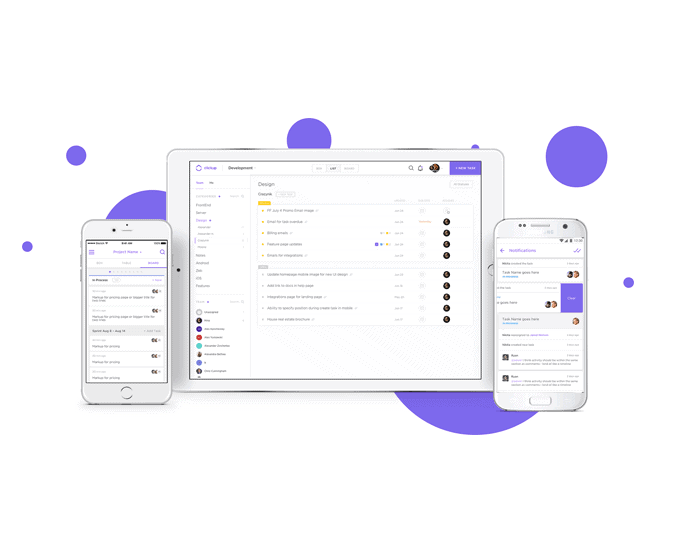 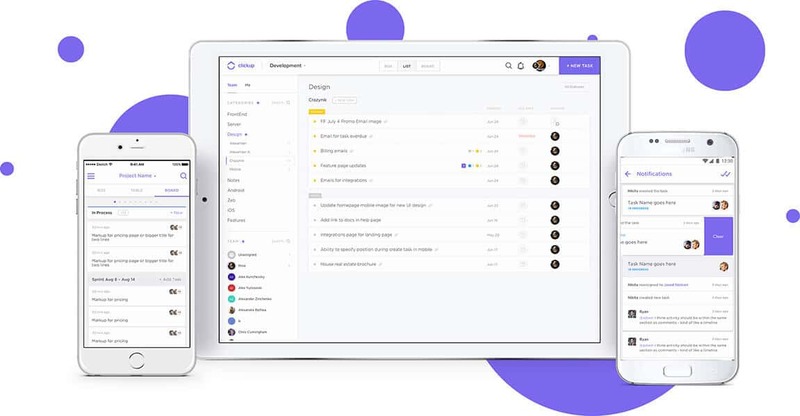 ClickUp is the highest-rated and fastest growing project management app in the world.